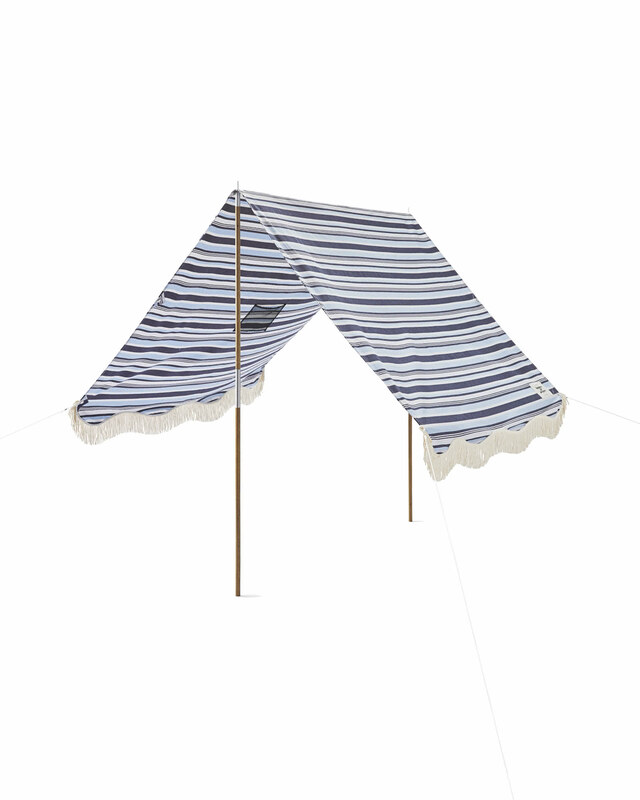 Hyannis TentHyannis Tent, alt="Hyannis Tent, "
Print The summery stripes, the breezy tassels, the beechwood frame – this is our kind of coastal chic. 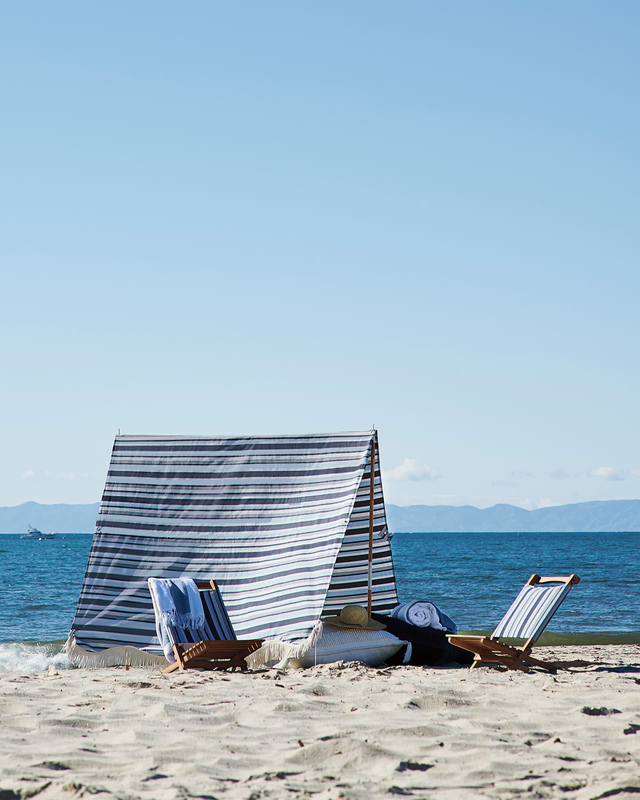 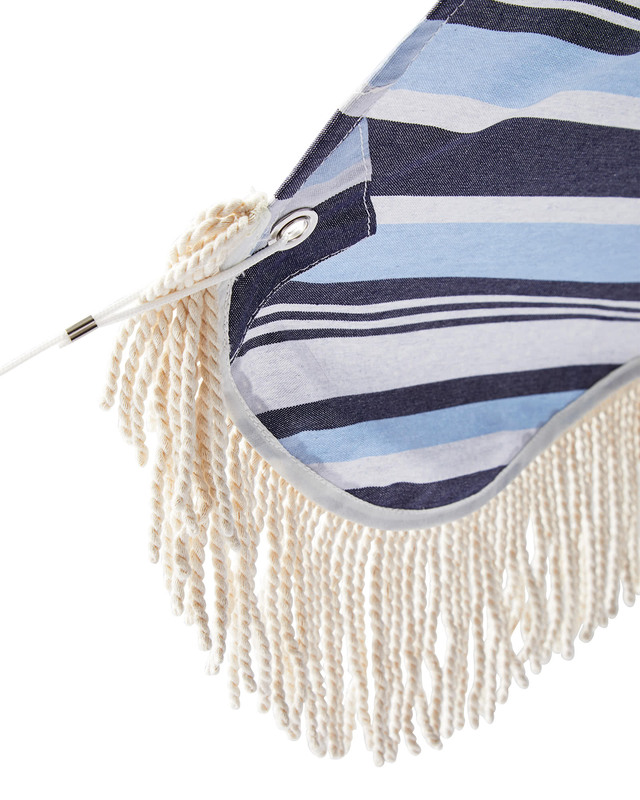 We designed every detail with the perfect beach day in mind, from the lightweight poles and carrier bag for easy toting to the UV-blocking canvas to keep you looking cool in the shade. 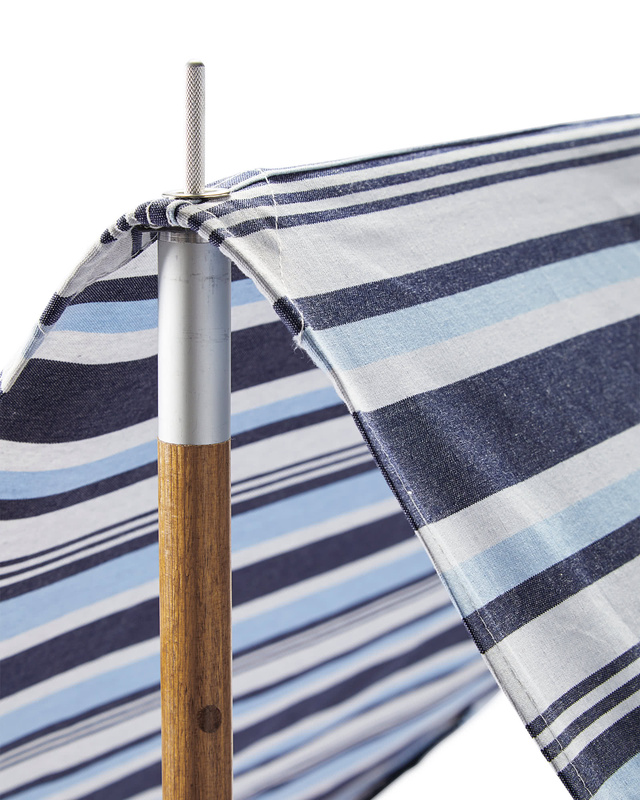 Recycled timber poles with stainless steel hardware and weather-resistant coating.